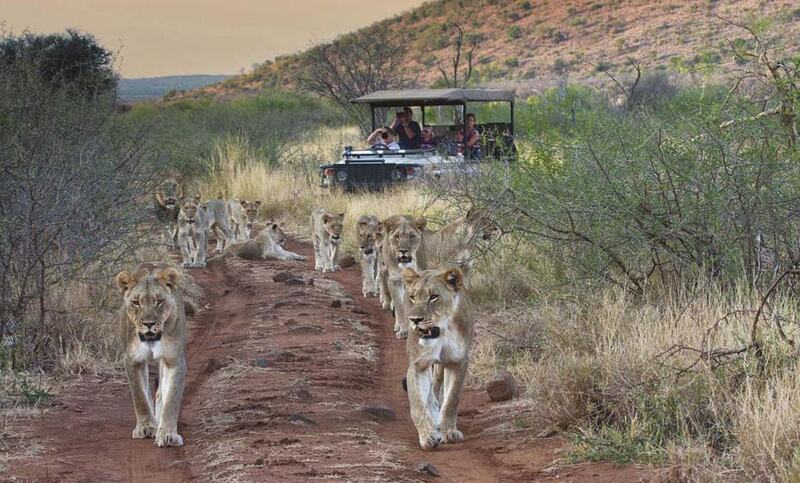 Madikwe Game Reserve is a wildlife area low on the radar of most foreign visitors to South Africa. 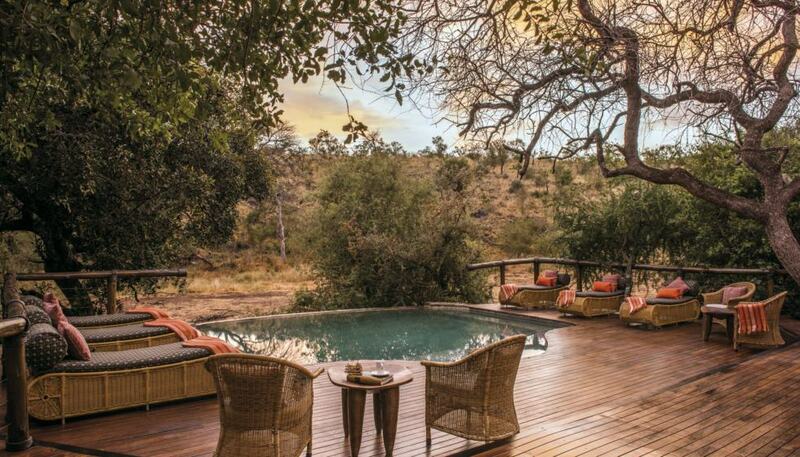 This hidden gem is a prime safari destination with excellent accommodation options, home to all of the Big 5 and just a short flight from O. R. Tambo International Airport. Here are just a few reasons why you should choose a Madikwe safari as your next South African destination. As one of the largest game reserves in South Africa, Madikwe is home to an abundant and diverse mix of flora and fauna, including all of the Big 5. The big cats – lion and leopard – are both present, as well as black and white rhino, a healthy elephant population and a scattering of buffalo. Although leopard are notoriously difficult to spot, it is not unheard of to see all of the Big 5 during a stay in Madikwe. Along with the famous Big 5, other enticing attractions in the reserve include the resident cheetah, brown hyena and wild dog. Cheetah and wild dog have been introduced into the reserve with varying degrees of success over the last few years. At this current time, populations remain stable and although rare, it is possible to see both during a stay in Madikwe. As the reserve lies in a transition zone between the Lowveld bushveld and the Kalahari thornveld another rare species, the brown hyena can also be seen in Madikwe. As there are no day visitors into the reserve, each game viewing experience in Madikwe is led by experienced guides who know the area intimately. At Tuningi Safari Lodge, our guiding team will be with you for twice daily game drives – one leaving early in the morning and one late in the afternoon. They will help to reveal the marvels of Madikwe; working together to deliver the best game sightings as possible during your stay. Madikwe Game Reserve is situated in the North West Province of South Africa, bordering Botswana in the north. It is approximately 40km from Gaborone, 90km north of Zeerust, and 4 hours’ drive from Johannesburg. The easiest way to access Madikwe Game Reserve is to fly in directly from O. R. Tambo. The flight is roughly an hour long andll flights are undertaken by professional and highly experienced commercial pilots. Transfers from the Madikwe Airstrip to the Lodge are complimentary. Madikwe Game Reserve offers a superb range of accommodation options, from luxury safari camps to down-to-earth, family-friendly lodges. Tuningi Safari Lodge is a kid-friendly option, located 15-20 minutes’ drive inside the reserve. 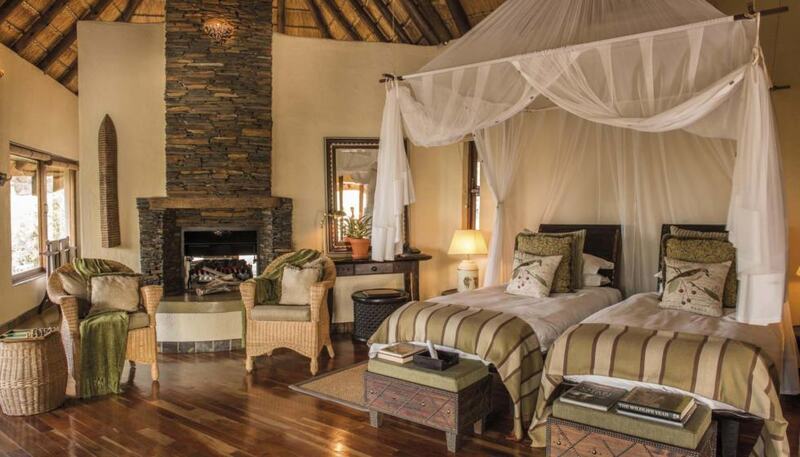 We offer accommodation in Luxury and Family Suites, twice daily game drives and child-minding services. Tuningi overlooks a busy waterhole and boasts an underground hide, offering unparalleled game viewing from the comfort of the lodge. For more information about booking your Madikwe safari, please don’t hesitate to contact our friendly reservations team at Tuningi via email at book@tuningi.com or fill in our online booking form for a quote. We look forward to welcoming you to Madikwe.